If you like this free game, try Abandoned: Chestnut Lodge Asylum. Amazing journey awaits you. Your grandfather has invented the time machine, but made a mistake and was lost in the time. Now he needs your courage and puzzle-solving skills to travel through time and find him. Amazing encounters, unexpected puzzles - everything awaits you in the Eternity. 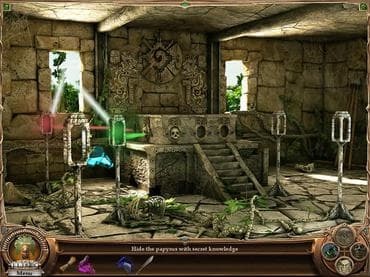 Free Game features: - Rich environment; - Travel through the time; - 14 Time Ages; - 20 Characters. If you have questions about Eternity game, please contact us using this form.